The online golf club TheSocialGolfer.com (TSG) has confirmed it will be the ‘official sponsor’ of disabled golfer and TSG member Paul Houghton, as he aims for European glory in 2017! Having got to know many disabled golfers since its launch, The Social Golfer have made it a priority to promote equality and understanding among golfers of all levels, gender and disability and the team feel this could be the first of many associations with disabled golfers. In previous years the community has raised over £3k for disabled golfers at their ‘Major’ events. 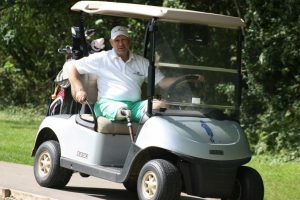 However, despite this very humble effort to raise the profile of disability sports in the UK, there is still a huge job to do in changing attitudes and thesocialgolfer.com want to be at the heart of this initiative. Paul Houghton – Disabled Golfer…. Houghton lost his leg suddenly sixteen years ago in a work accident whereby his leg was amputated above the knee. However, being the gritty character that he is, Paul decided to take up golf. He bought himself some clubs, an Electrokart (one-seater buggy) some lessons and joined his local nine hole course. He later joined the Disabled Golf Association and has now represented his country 12 times, playing of a respectable handicap of 16. He is also a member of the EDGA (European Disabled Golf Association). 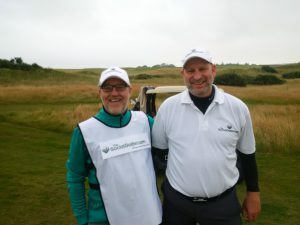 As part of their sponsorship, TSG will be hosting a blog with Paul’s experiences on the tour on the website and his progress will also be promoted in their monthly newsletter sent to 5K+ golfers worldwide every month. In addition, the TSG team will be also distributing this content through their social media channels and beyond. In July 2017, the Social Golfer donated all the monies raised at the TSG OPEN to Paul Houghton and long term TSGer and fellow disabled golfer, Roger Hurcombe. Since its launch in 2010, the site has firmly established itself as one of the most useful golfing websites in the South East and the UK with over 1000 evnet5s being organised through the site in 2016. The online golf community currently has over 5,000 registered users in the UK and 10,000+ worldwide. Share the post "The Social Golfer sponsors Disabled Golfer…"